That was the general feedback on Manila Bay after thousands of volunteers cleaned-up the garbage that plagued the once-iconic landmark for decades. It once held a reputation of having picturesque views, known for having a good vantage point of the sunset, until decades of neglect and the intensification of its surrounding areas polluted its waters and littered its shores with garbage. Proposals to restore the beauty of this well-known attraction in the capital city stemmed from a 2008 Supreme Court ruling that ordered government agencies to rehabilitate the Bay. President Rodrigo Duterte finally executed that ruling last month, instructing the Department of Environmental and Natural Resources (DENR) Secretary Roy Cimatu to oversee the revival of the Bay. The government’s environmental agency is buoyed by the success of their similar project to rehabilitate the tourist island of Boracay last year, which was plagued with pollution also but is now slowly regaining its world-famous beauty. This used to be the typical view of Manila Bay, with tons of garbage piling up on its shores. 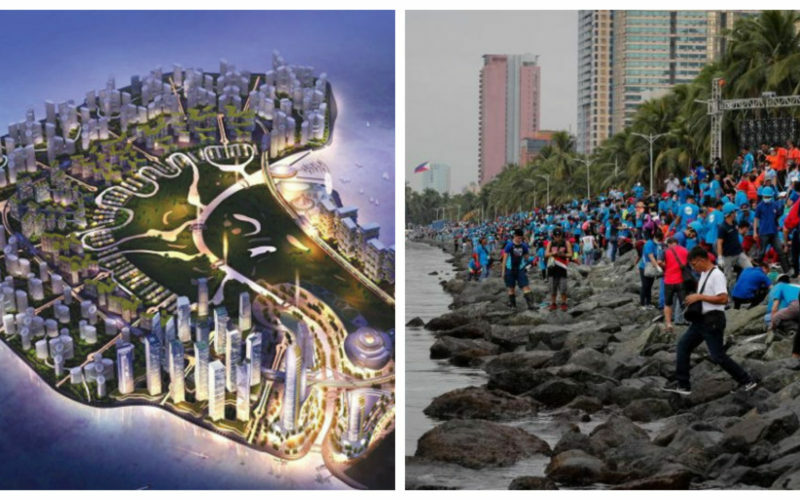 Even though its only the early days, the work done on Manila Bay so far looks promising. Before and after photos of the attraction showed night and day difference of its scenery, prior to the clean-up its shores were stacked with disposed garbage – unable to see the sand itself. The results should be welcome news not only for residents of Metro Manila, but for all Filipinos in general. What used to be a source of embarrassment for us can now be boasted as a tourist attraction once more, and of course it provides a much-needed “green space” for the city’s residents to enjoy given that urban intensification of recent decades have left them with very few spaces that aren’t concrete jungles. This makes the most recent news about Manila Bay all the more confusing, and saddening. There have been reports for many years about plans to reclaim large swathes of Manila Bay and build new commercial areas, but now it seems those proposals have more certainty after the idea was endorsed by the Presidential Palace itself. Presidential Spokesperson Panelo Alvarez said the President welcomed reclamation plans, adding it “will provide more jobs [and] bring more money” to the country. 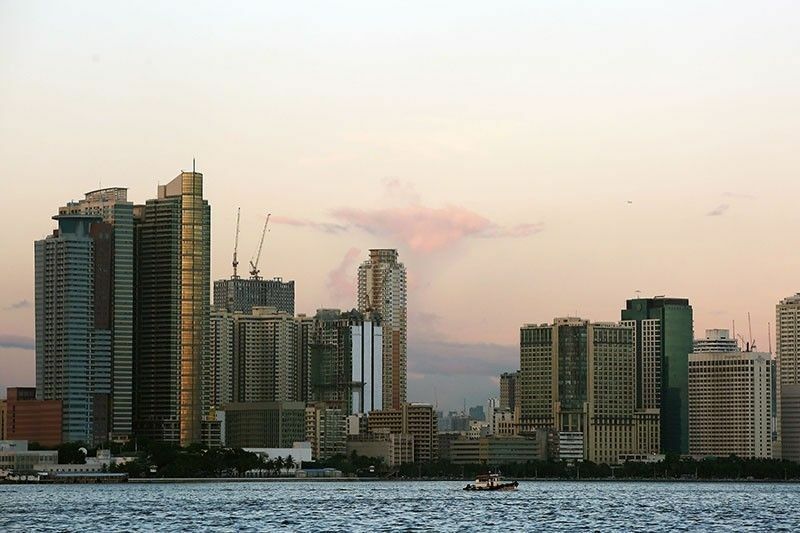 Many high-rise commercial buildings already exist around the Bay, but starved for more development there are plans to reclaim 32,000-hectares of coastal area to create a new commercial district in Metro Manila. 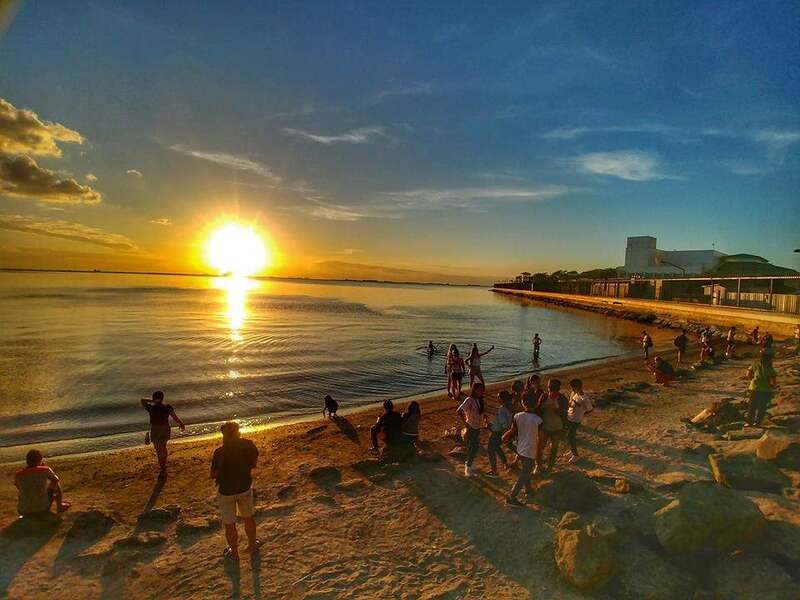 The idea is antithetical to the original intention to rehabilitate Manila Bay, which was to allow residents to have an eco-friendly space for recreational purposes – different from the shopping malls and other urban establishments they are surrounded by. Alvarez praised the success of the initial clean-up, but linked the accomplishment with the plan of reclamation – saying that doing so is beneficial for the Government because they will receive the lion’s share in a 65-35 split of revenues. But will Metro Manila really benefit more from a new commercial district as opposed to a green space? 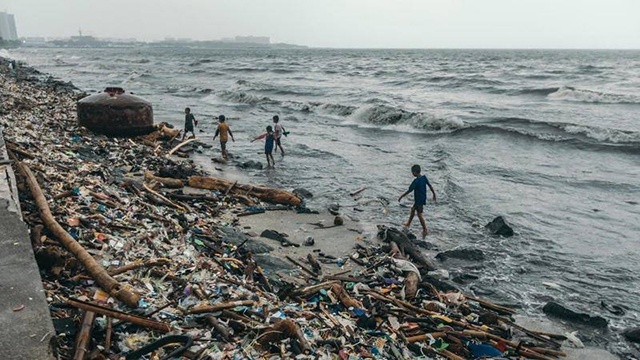 Last November, before the idea of cleaning up Manila Bay was even floated, Mayors Joseph Estrada and Antonino Calixto – of Manila and Pasay City respectively – both signed a memorandum of agreement with several private enterprises to reclaim parts of the coast. The corporate groups were SM Prime Holdings Inc., Manila Goldcoast Development Corp., and the Pasay Harbour City Consortium. This grand plan would develop a coastal residential area, as well as “to generate 500,000 new jobs”. 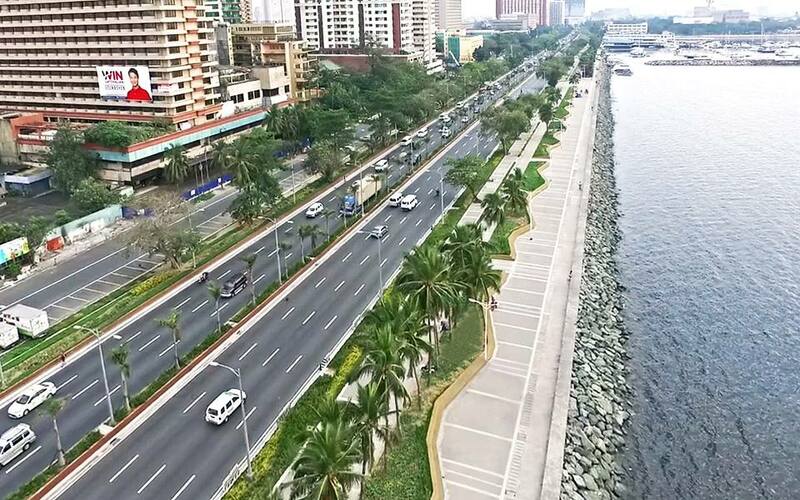 The biggest of these projects is the 148-hectare Manila Solar City reclamation project that will begin in early 2019, the same time that the Bay’s clean-up was ordered. The Solar City will build three artificial islands in the Bay, and is touted to bring in Php50-billion in revenues to the local government of Manila. 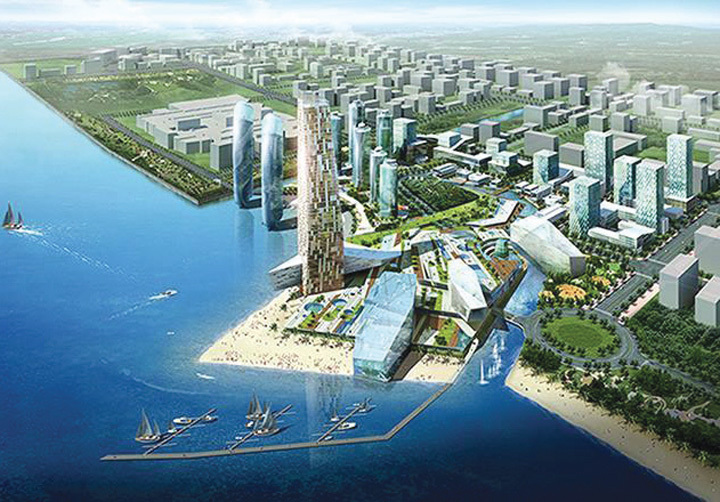 Another much-bigger reclamation project, Waterfront City, will cover 318-hectares but has not yet been approved by the national government. Estrada on the other hand already approved both Waterfront City and Solar City’s three man-made islands in 2017. 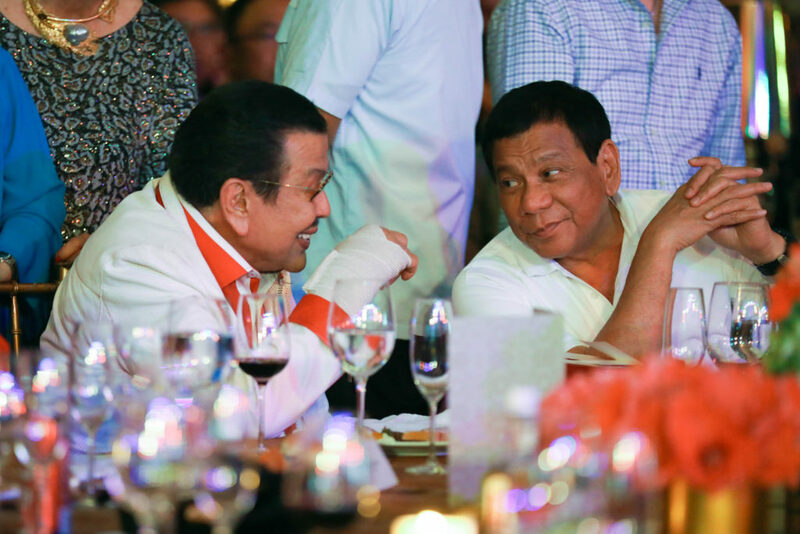 Mayor Joseph Estrada (left) and President Rodrigo Duterte. “Green” groups are sounding off alarm bells over the proposals. Climate Reality Project expressed concern about the waning biodiversity of the Bay, which could be completely decimated if the reclamation pushes through. Many are also worried about the mangrove trees on many parts of the Bay’s coastlines, which are vital for the protection of the coasts as well as containing important ecosystems. What is also concerning is the further congestion that will occur if these developments push through, Manila Bay was ruined by having too many establishments around the coastline dumping untreated wastewater into the water – and now the number of potential polluters may be multiplied. Traffic and the unsustainable number of residents cramped inside Metro Manila have long been problems of the capital, both of these will only get worse if this new commercial district is opened. The air quality will also take a hit with added private vehicles and delivery trucks servicing these new commercial enterprises. Is it really beneficial for the Philippines to intensify Metro Manila even more? It already is the country’s wealthiest and most urbanized region, wouldn’t it benefit more people if these proposed projects were to be erected in other parts of the Archipelago? If these opportunities arose in other provinces, many residents of Metro Manila will be enticed to relocate and thus decongests the capital. Those provinces will also benefit from the tax revenues of these businesses, and the consumption of the workers they will bring. This plan is also in-line with President Duterte’s agenda to spread out development all over the country, rather than concentrating everything in Metro Manila alone. It makes little sense to pursue these projects in the Capital city, much more in Manila Bay itself. The clean-up drive and rehabilitation were intended to create more environmentally-friendly spaces for residents to enjoy, to dump the water with land to build commercial districts on will be a great disservice to the good work done so far.